Today was one of those crisp, sunny days with a chilling breeze, so rather than miss the opportunity to stretch my legs and make the most of what was left of the glorious afternoon, I took my camera for a stroll around town. 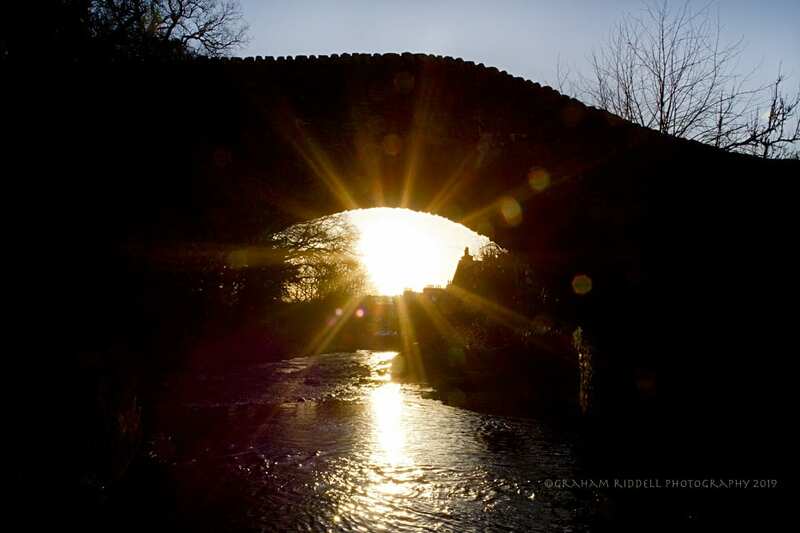 Innerleithen has several popular landmarks, not least is the Cuddy Brig across the river Leithen. The sun was setting and it seemed like a good opportunity to get a shot that was different from normal with the setting sun under the arch of the bridge in its low orbit across the winter skyline. Hope you enjoy and if you’d like to follow me on Facebook, check out my Photography pages.